Anyone who’s spent time in San Francisco knows that summer has its own special flavor here. First of all, there’s the timing – the Bay Area’s warmest months are September and October, just when the rest of the country is cooling off. And it never gets really hot – high temperatures during those months average 70 and 69 degrees, respectively. But that helps make the season, however brief, even sweeter. 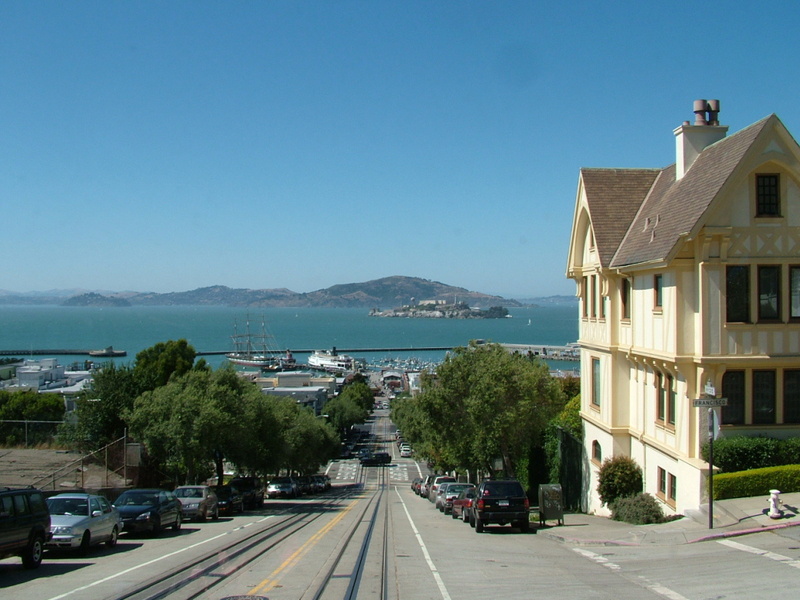 RootsRated offers five ways to celebrate summer in San Francisco. 1. Take in a Giants game – from a kayak. Watching the seven-time World Series champions from a seat inside AT&T Park is a classic summer outing. 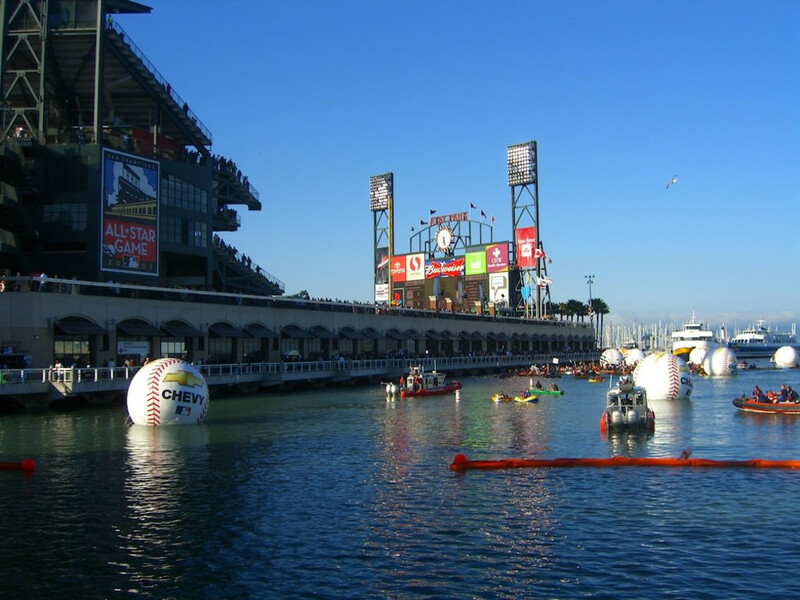 But to spice up the adventure, hop into a kayak and join the legions of paddlers who jostle for the “splash hits” that cruise over the wall and into McCovey Cove, named for Hall of Fame first baseman Willie McCovey. City Kayak offers packages that include a kayak, life jacket, and other necessities, but other extras to pack are a waterproof radio and a net to snag one of the water-bound balls. 2. Join a nighttime party on two wheels. 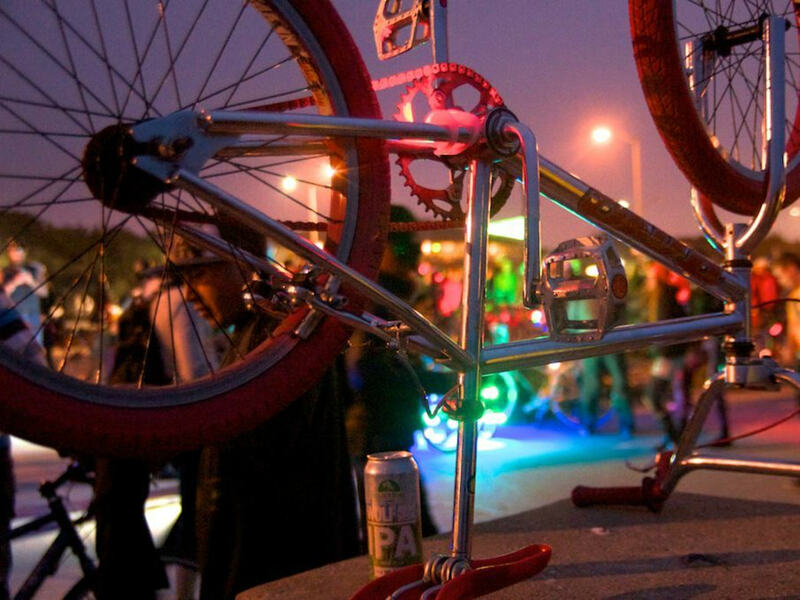 Starting at 8 pm on the first Friday of every month, a group of boisterous bicyclists takes to the streets of San Francisco, complete with elaborate costumes, thumping music, and good-spirited revelry. Known as San Francisco Bike Party , it’s one of the coolest ways to enjoy a warm summer night, with a theme for each ride – recent ones have included Americana, the San Francisco Gold Rush, and Robin Williams. For inspiration on gussying up yourself and your ride, check out the “look book” posted on the group’s website several days prior. And make no mistake, this is no Critical Mass: Bike Party’s mission is to “promote a positive community” during all rides, which includes stopping at red lights, sharing the streets with vehicle traffic and leaving no trace. The largest island of the almost 20 in San Francisco Bay, Angel Island is heaven for outdoor enthusiasts during warmer weather. Its 13 miles of trails weave through coastal live oak, hazelnut, and bay laurel trees. 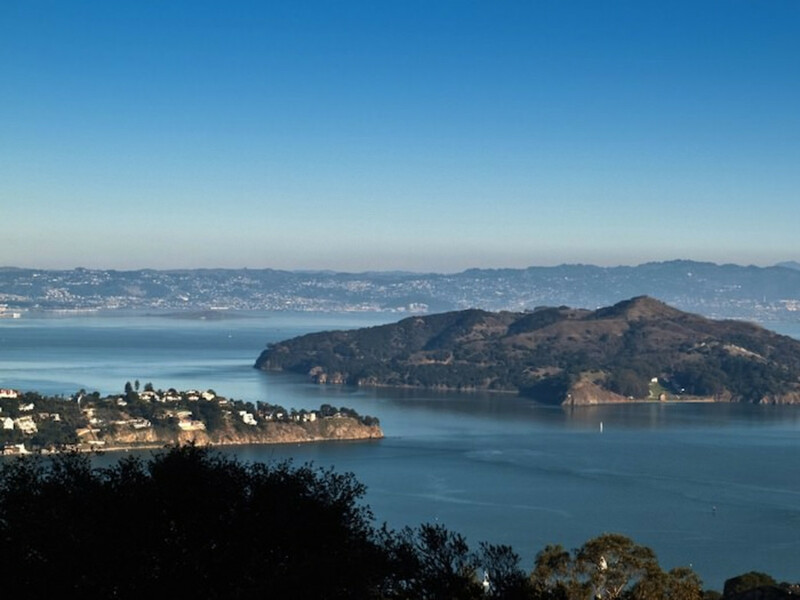 Be sure to ascend the 787-foot summit of Mount Livermore, the island’s highest point, for panoramic views of the bay and Marin headlands. For an interesting history lesson, stop by Camp Reynolds, built by the U.S. Army during the Civil War, and Immigration Station, where scores of immigrants were processed between 1910 and 1940. To reach Angel Island, take a Blue & Gold Fleet ferry from San Francisco, or make the three-mile paddle via kayak from Sea Trek , an outfitter based in Sausalito. 4. Hike and feast at the Presidio. 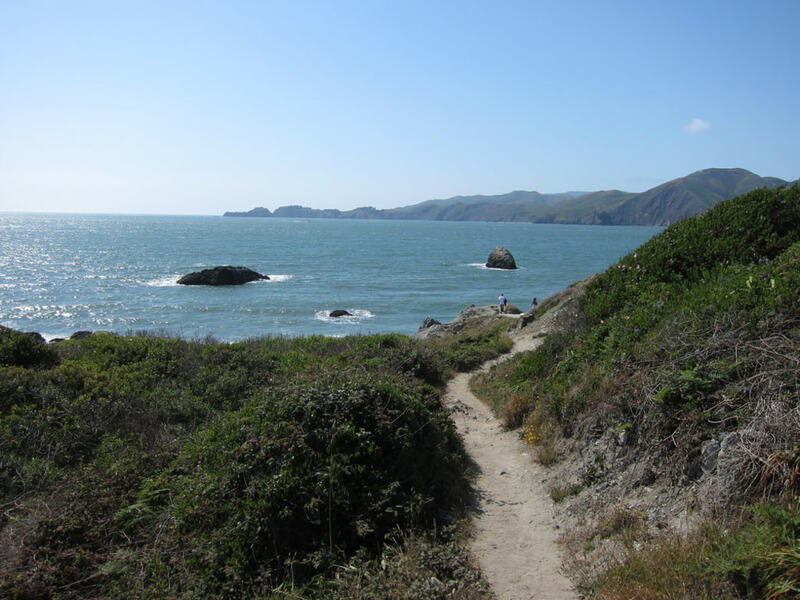 The woodsy environs of the Presidio are a perennial favorite among outdoor lovers for its extensive running and hiking trails and terrific views. Throughout October, you can combine your efforts with a culinary reward, courtesy of the fleet of food trucks that descend for the Off the Grid Picnic at the Presidio , every Sunday from 1-4 p.m. Regulars usually include pizza from Del Popolo and Vietnamese courtesy of Little Green Cyclo (check the group’s Facebook page for updates on vendors and special events). On Thursdays from 5-9 p.m. through Oct. 26, the shindig takes on a camping vibe with Twilight at the Presidio , featuring fire pits, cabanas, and tasty adult beverages like spiked apple cider. 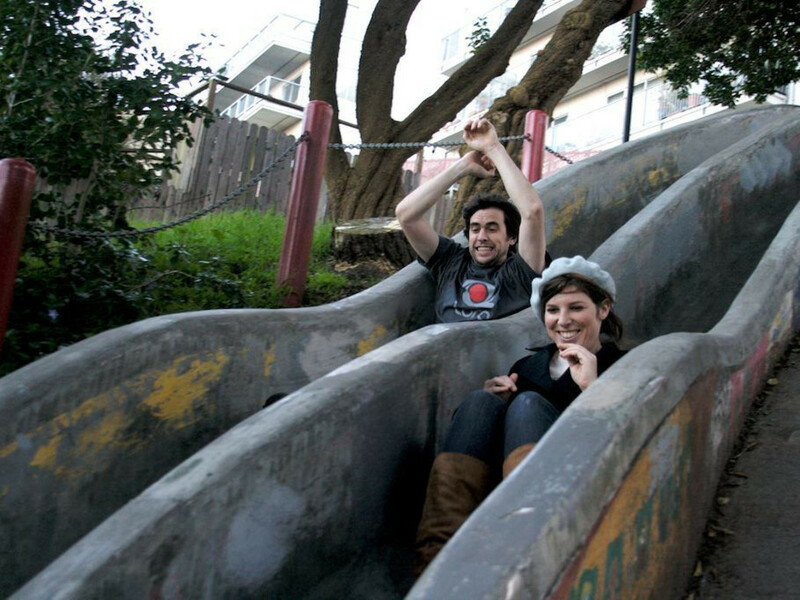 Literally, at the Seward Street slides, located in a mini-park in the Castro/Eureka Valley. The park opened in 1973, following a hard-fought, neighborhood-led campaign that prevented the construction of a large apartment building in the area. The stars of the show are the twisty, side-by-side concrete slides, a deliciously dangerous contrast to today’s watered-down playgrounds. As such, they draw thrill-seekers of all ages, though the rules state that adults must be accompanied by children. Wear long sleeves, bring a piece of cardboard for a faster ride, and come before the park closes at 5 p.m., as vigilant neighbors don’t hesitate to report loud noise.